Updated April 17, 2019 - Version 10 is now available for download, updated for the latest game patch, 1.51.75 (April 16, 2018). Old versions are not compatible with the currrent game and have been removed. Please remember to delete the old mod if you update. This mod for The Sims 4 fixes several bugs associated with violins and guitars. One of these bugs was discovered by a user of my Keep Instruments in Inventory mod, however the bugs are not caused by that mod it just made it easier to notice some of the games faults. These fixes are required for the base game only in order to obtain or fulfill several whims and actions that would otherwise not appear or work properly. Whims for playing the guitar or violin would not appear unless an instrument was on the lot - instruments in the inventory were not considered. Whims for the violin could not be satisified by using a violin from the inventory, only one on the lot. The whim to play a guitar at the lounge could not be satisifed by using a guitar from the inventory. The whim to write a jingle could not be satisified by using a guitar from the inventory or any violin. The pie menu choices for instruments in the inventory would not offer the write jingle action. Adds fixes for serenades, bring to tears and jam whims. Fixes a bug which prevents musicians from writing jingles if they previously quit their job and rejoined the careeer. This is also fixed for the piano, despite keeping the mod name unchanged. Adds a fix for the bug which prevented cancelling the Write Song action properly. 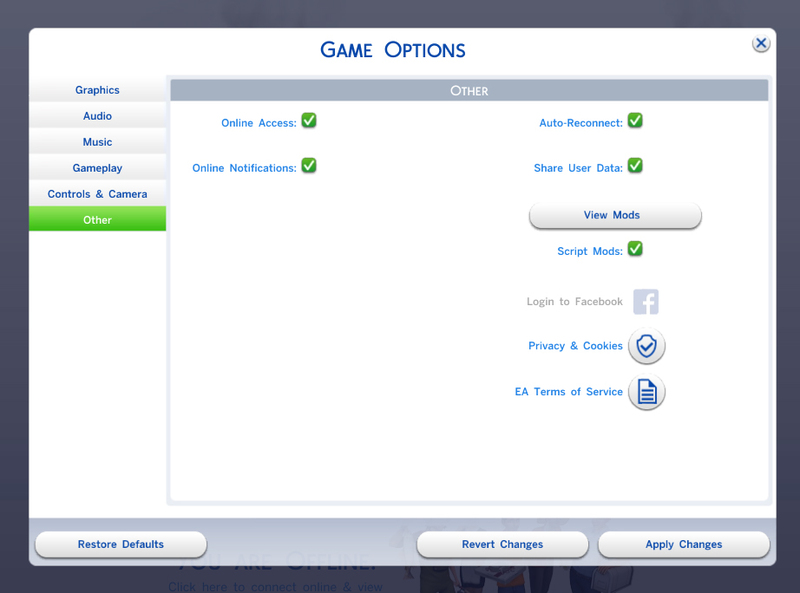 Fixes a bug which prevented the Play Guitar at Lounge whim from showing up while the sim is actually at the lounge. The text for the whim is odd in that suggest the sim should travel to the lounge (even though they are already there), but I didn't feel it was worth rewriting the text to fix that. Adds in some EA fixes which may(?) address the issue of instruments being stuck in a sim's hands after they are done using it. Changes some of the whim choice weighting so that sim's don't obsessively want to buy instruments all the time, but prefer to talk about them, play them and learn to play better - because if you have guitar skill you probably own a guitar already! The whim to buy an instrument will still show up, just five times less often. Adds some tests for things in Outdoor Retreat - nothing really exciting. These changes should be ignored if you only have the base game. Versions 5-8 don't add any fixes and were just updates for game patches. Remember to delete the old version from your mod folder if you download a newer version!! This mod may cause conflicts with other mods which change the violin or guitar playing whims or the jingle-writing action. Due to the wide variety of mods and sources for them, it is unlikely I will be able to help you with such a conflict. If there is a conflict, either one or both mods may fail to work properly. This may be of interest if you are experiencing a conflict and know how to debug such issues, or if you are creating another mod which changes the violin or guitar playing whims or the jingle-writing action and wish to incorporate these changes to eliminate conflicts. If you do create another mod using these changes, I would appreciate receiving credit. As always thanks go to Velocitygrass for the Sims4XmlExtractor and Kuree and all the others at Sims4Group who have put together the S4PE tool. 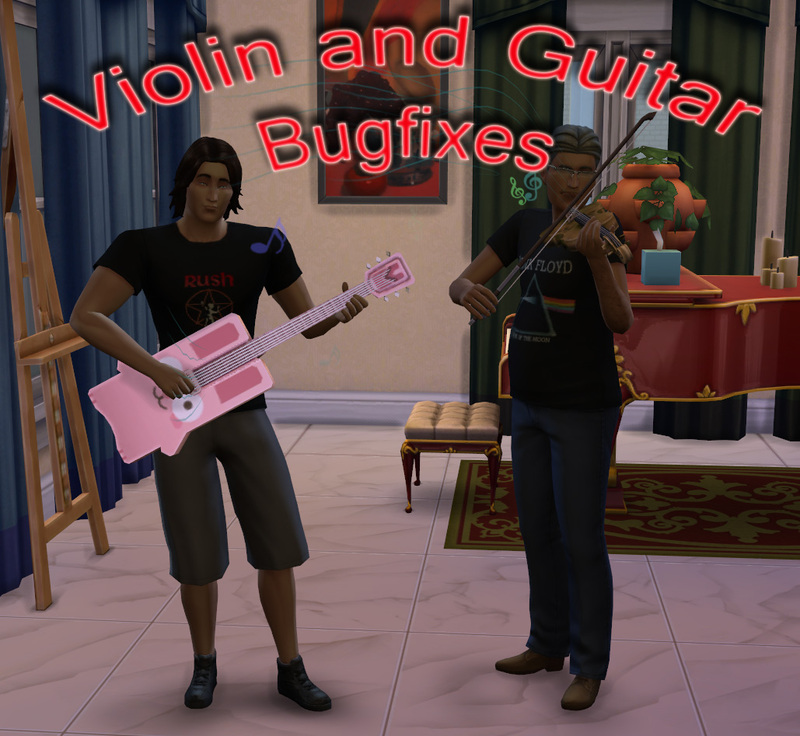 Also, thanks to Wheatberry at Mod The Sims for finding the violin playing whim bug that kicked off this flurry of bugfixes.